We have been covering a lot of news related to iPhone 4 04.11.08 Unlock, although most of them are fake. However, people at applenberry today confirmed that gevey is indeed working on 04.11.08 unlock. 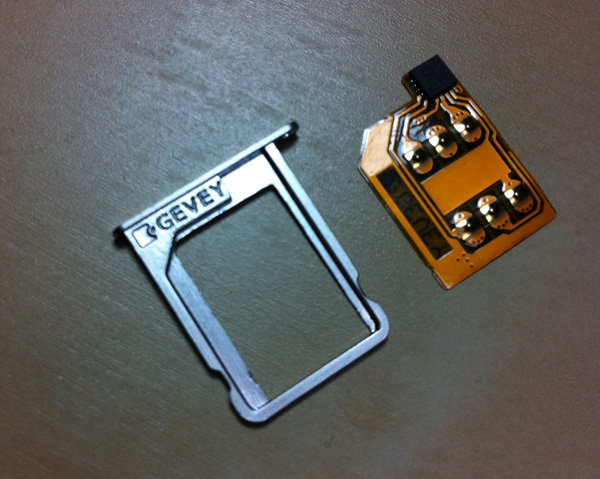 Gevey Sim, which is a sim interposer, is used to unlock iPhone 4 baseband 1.59, 2.10, 3.10.1, 4.10.1. Applenberry also announced that it’ll also unlock iPhone 4S soon. we`ll need to still waiting a month yet, oh, that`s too sad!